Installation and removal of ceiling insulation. 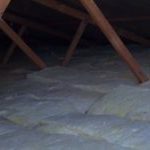 Batts or spray insulation can be used depending on your roof type and need. We use Bradford batts for ceiling insulation and will recommend the right type for your application.